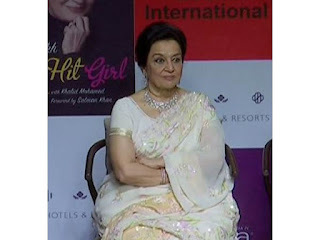 Veteran actress Asha Parekh, at the launch of her biography titled ' Asha Parekh: The Hit Girl', said her story would have been incomplete without Mr. Perfectionist Aamir Khan. "My story would have been incomplete without the story of a super intelligent, playfull and cute boy I knew. He used to drop by to see film shoots. the boy was born for cinema." Adding, "He became an assistant director and rest is said to be history. He's today's megatsar, the game changer of cinema, the Box Office record smasher and the constant in my life, Aamir Khan." Thanking her heroes, friends, directors and producers, the yesteryear actress said, without 'Dil Deke Dekho' and its director Nasir Hussain sahib, she would not have been here today. While talking to the media, the Jubilee girl also appreciated film critic and author Khalid Mohammad, who helped her to express the events of her life.